Comments: Former Library book. Shows some signs of wear, and may have some markings on the inside. 100% Money Back Guarantee. Shipped to over one million happy customers. Your purchase benefits world literacy! 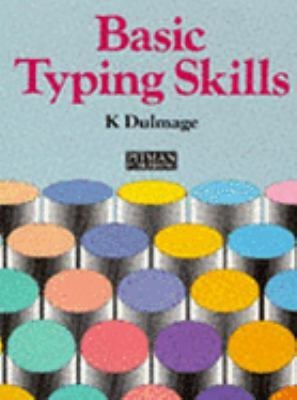 Dulmage, K. is the author of 'Basic Typing Skills', published 1986 under ISBN 9780273024651 and ISBN 0273024655. Loading marketplace prices 3 copies from $1.98 How does the rental process work?